Situated practically in the middle of the Pyrenean mountain chain, the department of Ariège borders Spain and Andorra for a distance of approximately one hundred kilometres. For centuries, this frontier zone has been an important area of trade and cultural exchanges between the two countries via numerous mountain passes (more commonly called “ports”) varying in altitude from 2,000 to 2,400 metres. Further west is the department of Haute-Garonne, while extending to the east are the areas of Foix and Ax-les-Thermes bordering the Principality of Andorra and the eastern Pyrenees. 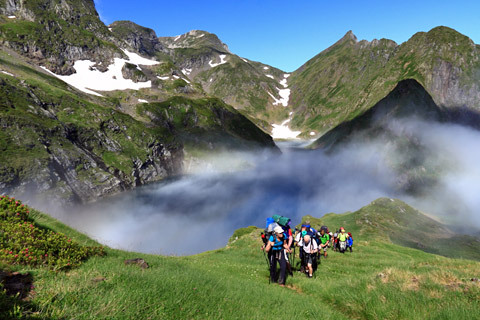 The Couserans and freedom trail. Adjacent to Spain and more precisely the Val d'Aran, this area was ideally situated for prospective evaders and is why several of the networks mentioned in the introduction were set up in this western part of the Ariège known as the Couserans which radiates for more than forty kilometres around the administrative capital town of Saint-Girons. Situated at the junction of many diverse valleys, most of them linking up with the Spanish frontier, it was a particularly mountainous and thickly-wooded region with difficult access stretching from Le Portet d'Aspet in the west, with its neighbouring Pic de Crabère at 2629 m, to Massat in the east, which is dominated by the Pic des Trois Seigneurs at 2199 m. During the Occupation, a railway line (which no longer exists), ran between Toulouse and Saint-Girons and the Freedom Trail museum has been built on the site of the former station in Saint-Girons which was the main railway terminus and under constant surveillance by the Gestapo and the Vichy French para-military organisation known as La Milice. But during the early years of the occupation the Ariège was still in the free zone and although under the control of the Vichy police, many evaders succeeded in reaching Spain by their own means, often following easier routes such as the "Ports" of Aula and Salau which were high above above the villages of Couflens and Seix. 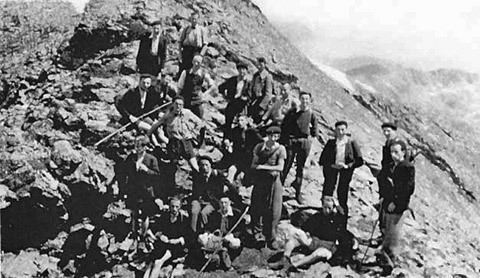 These, however, were quickly abandoned after November 1942 for the reasons given earlier and from then on it became imperative to be helped by one of the clandestine escape networks and led over the mountains by local guides. Secrecy and discretion were vital elements in these escapes but the difficulty and time involved increased as the months went by, all relative to the heightened surveillance and the difficulties encountered during all seasons on the routes themselves, over “ports” such as Guillou via Aulus-les-Bains (a Jewish baby was carried to safety in the arms of Jeanne Rogalle, honoured by the French government sixty years later and whose full story can be found in this website)... also Martérat above Ustou, d'Orle or d'Urets above Sentein, Bentaillou through the valley of Biros... and especially that of La Claouère via Mont Valier which is described below and through which the reader will learn far more about the physical and psychological difficulties of this crossing and many others which were often undertaken in atrocious weather conditions during winter and spring. 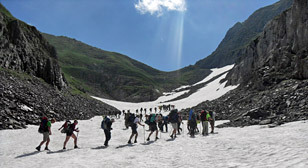 It goes without saying that many evaders lost their lives and many others endured untold hardships on these perilous journeys across the high peaks. 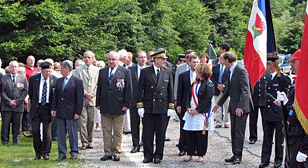 The guides and passeurs in the Couserans area of the Ariège also paid a heavy price, many being executed, many others deported. 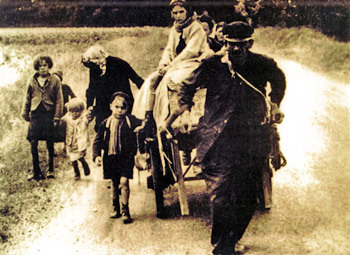 But thanks to their intimate knowledge of the terrain and local information provided on the movements of German patrols, they were able to lead approximately 3,000 people to the safety of the frontier. A record of prisoners held briefly in the Spanish prison of Sort lists 2,674 men and 158 women, to which can be added many more who also escaped but managed to avoid imprisonment in Spain. All an epilogue, perhaps, to the twenty or more wartime escape routes through the Ariège. Among them is the most symbolic and representative of all, "Le Chemin de la Liberté" or Freedom Trail route between Saint-Girons and Sort via Mont Valier. 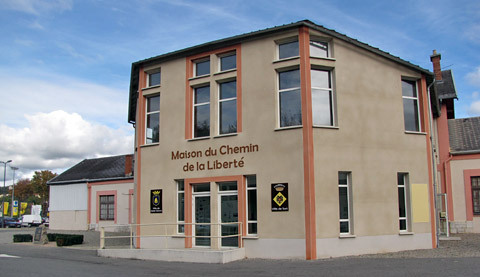 - The creation of "La Maison du Chemin de la Liberté" or Freedom Trail museum. 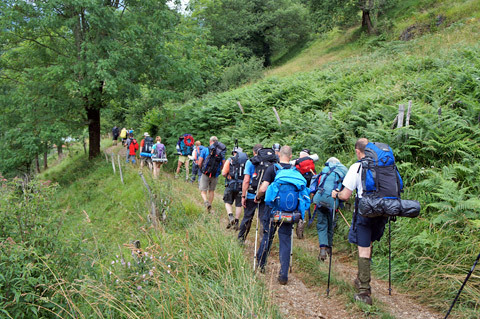 - The organisation of an annual commemorative hike along the trail which takes place during the second week of July. 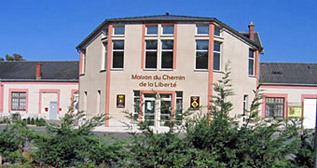 50 per cent financed by European funds and inaugurated in 2007, the museum is on the D117 road leading into Saint-Girons from the north and built on the site of the town's former railway station. - An impressive ground floor where there is a carefully laid-out permanent exhibition covering all aspects of escape and evasion. 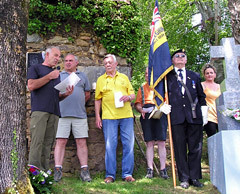 Display stands provide full details of the networks involved, the guides and passeurs who ran them, crossing-points and the routes taken, hiding places, internment camps in Spain, as well as personal eye-witness accounts and photographs concerning fleeing Jews, evading army cadets, local martyrs and heroes and shot-down Allied airmen. 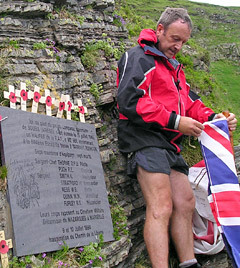 Memorial sites and monuments are also listed and shown. From time to time, temporary exhibitions take pride of place, all usually linked to the same central theme. - Upstairs on a mezzanine floor there is a library where one can consult a variety of books, documents and wartime archives. The museum is open to the public from Monday to Friday - 14h to 16h30. It is also accessible.